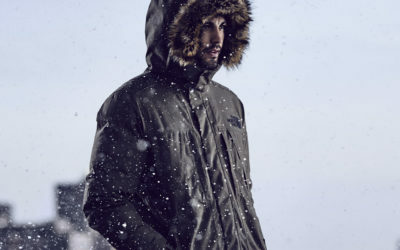 Here are two men’s styles from Canada Goose’s Arctic Collection: the Langford Parka and the Chateau Parka. What’s the difference between them? 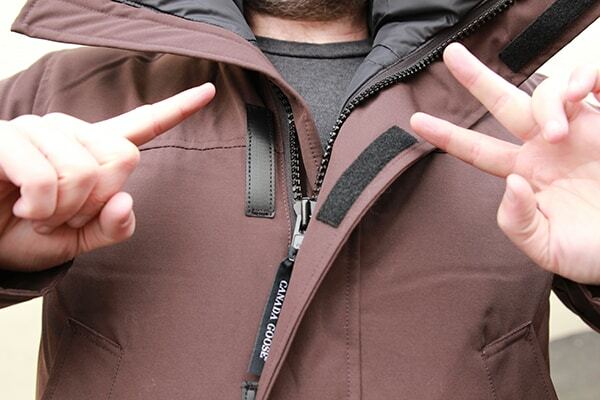 Alexandre tried them both and tells you all you need to know about these two winter jackets. 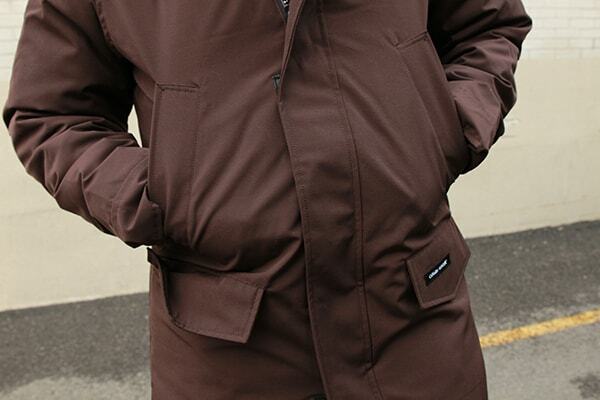 The Langford Parka is new to the collection and is inspired by two of the best men’s jackets: the Chateau and the Banff. It’s a little longer and stops at mid-thigh. Its fit is classic, straight and elegant. Nothing really stands out, it has very few obvious details. The Langford is equipped with a double flap to protect the zipper, one on the outside and one on the inside. It has two pockets with a Velcro flap at the hips and two fleece-lined pockets located just over, perfect to warm your hands. When it comes to warmth, it has a rating of 4, just like the Chateau. That means that it’s ready to face temperatures of -25 degrees Celsius. The collar is very high, and combined with the hood, you’ll be protected from the elements because it surrounds the face very well. Thanks to the fur, you’re guaranteed to be warm. There’s even a strap to adjust it perfectly. 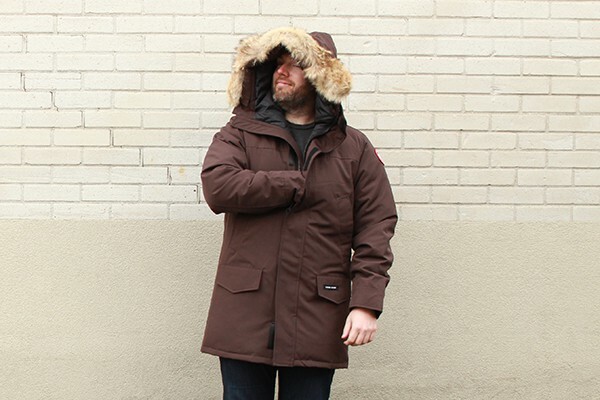 The Chateau Parka is a Canada Goose classic. It’s a little more adjusted than the Langford. It’s normal to go one size over what you normally wear. The flap stays in place with big buttons. It looks nice and sporty, but take note that it’s hard to handle with gloves since they’re pretty tight. The hand-warmer pockets are fleece-lined and placed perfectly to put your hands in when they’re cold. There’s also a napoleon pocket with a zipper. What’s nice with this jacket is that there are also three pockets inside. Lots of storage! Finally, the hood and the fur ruff are removable. It makes a versatile jacket with multiple possible looks. But me, I love fur and it allows me to give you a seductive look. Are you charmed, ladies? So, gentleman, have you made a choice? If you’re still unsure, read our choosing the right winter jacket guide to make sure you end up with your ideal winter coat. 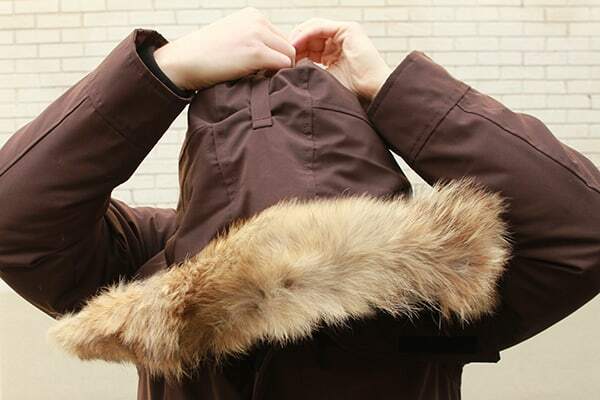 There is 15 thoughts on this article titled “Canada Goose comparison: Langford vs. Chateau”. Hello there, i have question on sizing. What sizes are those parka you wearing? And do you mind telling your height? Hello Taka, our model is wearing an XL. 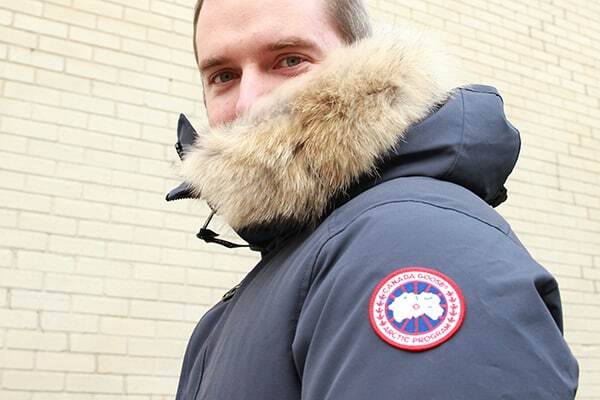 Canada Goose quality is good, their design is not. Chateau: No hand warmer; really?? Chateau: No waist pulling cord. Both: Ugly triangular shape departing from the typical waist shrunk parka style. I like the brand but please guys try hiring better designers. We are simply retailers of the products and have no control over how Canada Goose designs and crafts their products but thank you for your personal input on the models. What are the sizes you are wearing? And if it’s ok what’s your height? I’m about to get one of those parkas but a bit confused on sizing. I am 5’10 and 190 lbs will the Langford medium be too small? Hi there, for the most accurate sizing, please refer to the measurements in the size chart. This should help you find the correct size as height and weight are hard to work with. The genius of these two, is that they’re very much urban oriented. I live in Copenhagen. In the winter temperature is between 0 to -10ish celcius. It’s cold, but not Resolute cold. 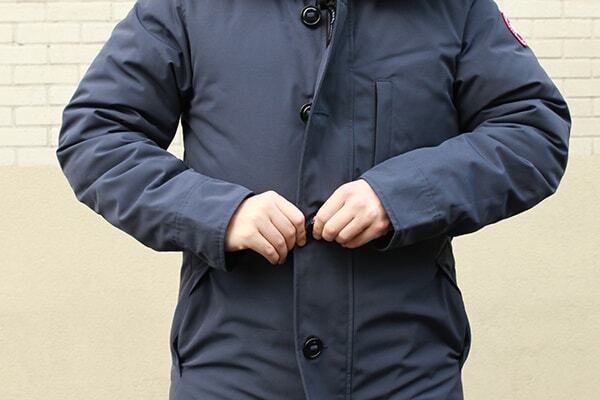 The big parkas are brilliant and shield you from anything… But they’re very bulky, and you don’t need them in countries with temperate climate, such as western Europe. Also I like the shoulder GC patch, as opposed to the much larger look at me chest patch of the Expedition parka. Speaking of, if you prefer a subtle look like me, go for the black label versions. The patch is black and more subdued, and they cost the same. Either way both are worth it, although I recommend the Chateau, for the simple reason that the Langford has more velcro, and velcro catches all sorts of rubbish. I meant hoodie and fur from Chateau Parka ?? Hi just a quick question on Chateau Parka.. can u remove the hood and fur from the jacket ? Thanks for your question! 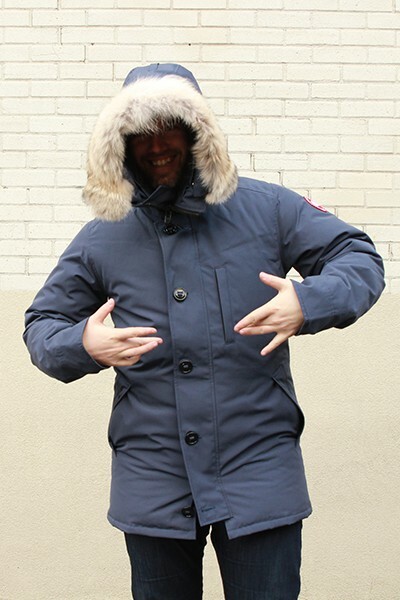 On the Canada Goose’s Chateau Parka, the hood is adjustable, but not removable. The fur, however, is shapable and detachable so you can adapt the style according to your taste. thank you for the quick response camille… just wandering above Chateau Parka is it the fusion fit or regular Chateau park ?? the color is blue or graphite ? Hey Richie! Glad to know the answer was helpfull! I wear size S with any of my Arcteryx jackets. Should I go for S or Medium ? Hey Cary, your best best is to look at the Canada Goose sizing chart. From that you will choose the correct size. But, I would say they are pretty close in sizing.